← Don’t Break The Bank! Thanks bro. Appreciate the amen. Bah Humbug! Show some Christmas spirit and at least don’t straw man Calvinism. This doesn’t really promote dialogue and is just smart alec and sectarian. Total depravity- no one is really that good all year. Unconditional election – your getting even the bratty kid a gift because they are family. Perseverance of saints – you’ll put up with the in-laws till your wife wants to leave. 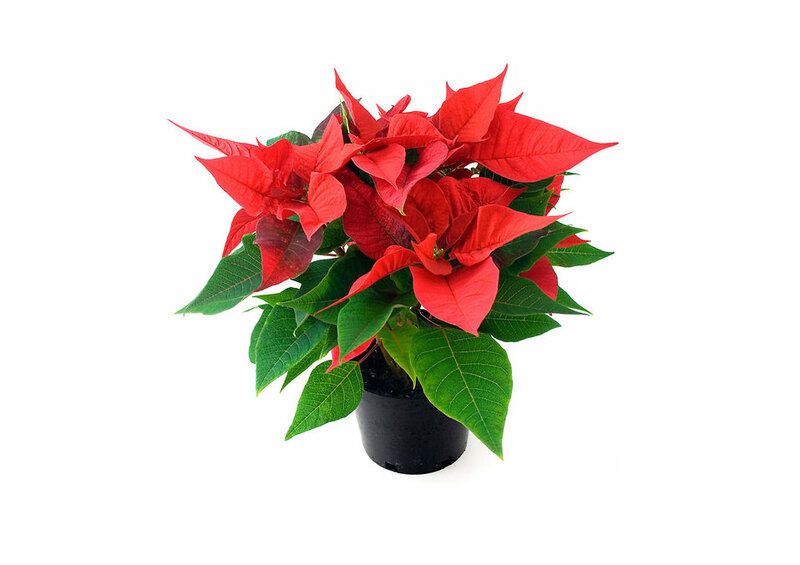 No buddy likes tulips at Christmas, but the poinsettias they like instead are poisonous. Thanks for taking the time to comment, Von, even though you obviously disagree. I’m sorry you can’t see the difference between analogies/allegories/parables (which is something that Jesus and his apostles/prophets used numerous times even while discussing the false doctrine of others) and someone being a smart alec and sectarian. Furthermore, just because you don’t like what I said that doesn’t mean I’ve used a straw-man argument. I know what a straw-man is, and what I said is in no way a straw-man since I laid out contrasts that revealed error in actual/real (not straw) Calvinist doctrine. Total Hereditary Depravity says people cannot do any good because humanity is born wicked and completely depraved in nature, but the Bible actually teaches that Gentiles who lived outside of God’s covenant did good by nature (Romans 2:14, 7:12). Additionally, just because we don’t do good (live in God’s righteousness) all year long, that doesn’t mean that it’s not expected by God. That’s why it’s called sin. And that’s why we will be judged for our sins (not Adam/Eve’s). Therefore my point is valid – that being that we’re expected to do good and not sin or we will be on the “naughty” list that misses God’s gift of salvation (Micah 6:8, Ephesians 5:1-7). Concerning unconditional election, there is no rule that says someone must get a bratty kid a gift because they are bratty. Bratty kids, according to “Christmas tradition” get one thing, and that’s coal in their stocking. So again, the traditional sense of gift-giving at Christmas time shows that’s it completely acceptable to set conditions on the giving/receiving of gifts. And there is plenty of scripture to show that salvation is conditional my friend. Concerning your statement on limited atonement where you said that you only get presents for people on the list…well that’s completely not true. People buy gifts for strangers all the time. I myself had the pleasure of someone in a vehicle in front of me in the drive-thru line buying my lunch one day. And that’s only one example of the ways that people do kind things every single day for complete strangers that are not on any pre-determined list (1 John 2:1-3). And about those cookies and irresistible grace – my point showed that a gift can indeed be offered by someone (i.e. God offering salvation to the entire world but the gift not being taken) and that gift be ignored completely by freewill. Your point makes an assumption about everyone eating cookies and never stopping. I get the whole “irresistible” angle that you’re taking, but it in no way proves what I said wrong…not even remotely. Again, I can see your attempt at humor with the in-law deal, but my point actually dealt with the doctrine of Calvinism by showing that freely-given gifts come with responsibilities (you can shoot your eye out with a bb-gun you know) but they can be abused to the extent that the gift loses its value by being ruined (please read to see how “once-saved-always-saved just doesn’t cut the wrapping paper with the scriptures – Hebrews 6:4-8). No one said anything about eating a poinsettia, or a tulip for that matter. Again, I made an analogy between what TULIP (the straight-up acronym for Calvinism’s five points, as I’m sure you’re aware of) stands for, and how “Christmas gifts” show it to be untrue theologically speaking. Finally, you said at the beginning that I should show some Christmas spirit. Well my article does just that. But unfortunately for people who adhere to Calvinistic doctrine, the Christmas spirit reveals how wrong their doctrine really is when it comes to gift-giving. In the end, it is indeed the followers of Calvinism who always say “Bah Humbug” when the spirit of Christmas says that Jesus was a gift given by God for all of humanity…which of course is something that Calvinist’s don’t believe in. So who doesn’t have the Christmas spirit again? All of this shows why I said that Christmas and Calvinism are theological incompatible. But Merry Christmas anyways, Von. Of course it all comes down to whether the Spirit enables a person to truly accept Jesus, or the person calls Jesus “Lord” without the Spirit. That or the Spirit apparently dwells in all people enabling them to do so, and the mystery is how God cannot or not allowed to change hearts and minds. You know, I’ve read where Jesus was given all authority and He sent his apostles to preach the gospel and make disciples out of those who believe it (Matthew 28:18-19, Mark 16:15-16), but I’ve never read one time in the scriptures where the Bible teaches us that the Spirit must “enable” a person to truly accept Jesus. Now, I believe that the Spirit is always involved in enlightening man’s eyes/heart because only God is the source of spiritual knowledge (1 Corinthians 2). But there is a world of difference between the Spirit of God being the source of our knowledge when it comes to our enlightenment of God, and the same Spirit being responsible for “enabling” someone to react positively toward the word of God that He uses to teach us about God and His will (Psalm 19:7-14). This is why people who reject the word of God are guilty of their own non-belief (Mark 16:15-16), for if the Spirit were solely responsible for the credit when it comes to “enabling” someone to believe, then it would obviously stand by simple reason that the Spirit would also be solely responsible for an individual being incapable of believing of God’s word…since, according to what you say, it takes the Spirit to “enable” someone to believe to begin with. Notice that the same warning God gave the children of Israel was repeated to the Hebrew church as well…that being that we’re responsible for our own reaction toward God’s word, and if we chose to harden our hearts toward the source of our faith in God (which is his word – Romans 10:17) then we will also be responsible for rejecting the grace that could never be earned. That’s why I, along with the Spirit of God according to the Bible, say that there’s a world of difference between the Spirit being our source of spiritual knowledge and the Spirit himself being responsible for what we do with the knowledge that He’s made available. After all, how can someone insult the Spirit of grace if the Spirit of grace never gave an individual the ability to receive the message in the first place? This, amongst many other reasons, is why I say that Calvinism and Christmas are theologically incompatible. I’m sorry, I wasn’t expecting an exposition. I wasn’t looking to debate on it. I find Armenians uselessly stubborn. Wasted your time on me I’m afraid. And you had the audacity to rebuke me about not promoting dialogue when out of your own mouth you say you’re not interested in it? Perhaps the Spirit of God isn’t interested in drawing you toward the truth and that’s why you’re so closed minded about the topic. Talk about putting the shoe on the other foot. Thanks for commenting anyways, but at the end of the day your reply makes for some great irony my friend. And irony was the exact essence of my post. I actually didn’t intend the reply to send it as it was. Yet you kept goading combatively anyways; I’ll be your huckleberry, hondo. You did your little post, then talked at me for a big long essay that said the same thing as if I didn’t hear the first time. The volume of words is not my issue. 1. You character Calvinism, nowhere does it deny subjective freewill, personal responsibility, etc. Which is all you’ve done so far. 2. Your view hinges on it’s definition of “freewill,” it determines everything off that. At best to avoid Theodicy at worst it’s just Catholicism light. For you worry if your in sin or grace constantly wavering between the two depending on what point in time you are (absolute time… yeah we live in an area where relativity is proven). 3. It’s all works. You choose good and evil and can be more good or more evil by being a better or worse person. Elitism is inherent to the argument. 4. Kinda on the relativity thing it’s both anachronistic and obsolete. Radical freewill is a false anthropology, humans are never that ex-situ even in regards to inner biology that effects neurological functions. It almost demands substance duelism among other things. But most Armenians are only argueing with Calvinist who maintain freewill that it’s not radical. Also freewill is a coined term from after Socrates. No one could be “for” or “against” it as a position before it was, and I doubt your position on it is only archetypical or you wouldn’t have your anti-Calvin complaint. No I’d say as a modern person your ideas are refined. And anyone who thinks scripture from before A.D. 120 is backing a position from 1800 against one from 1500 as well as you seem to think it does is more ideological than anything else. So don’t “spirit of truth” me. I will come at you time and again for years before we get close enough to any truth before we get biblical. On a comments section we will never get anywhere near the quality of multiple existing resources that biblically battle it out. But when we’d get there, your views on Sovereignty won’t stand up… and if we got through that. I’d have the final jabs that “everybody is special” means no ones special, and I don’t love my wife just more than any other woman I love here to their exclusion. If God loves us with no attention to individuality, then that’s not really love. And if God’s only option is love than it doesn’t mean anything that he does the only thing he can do, “what’s he gonna do? Hate us if we don’t?” So you promote Sin. And I wrote a big long essay? If a person is unconditionally elected then the rest are unconditionally rejected – therefore Calvinism leaves no room for free will and all the room in the world for limited atonement…which again, says Merry Christmas only to those who can’t help but say it back. It just doesn’t match up with any idea of gift-giving that’s related to the Christmas season. And by the way, I believe God’s sovereignty is big enough to allow for mankind’s freewill…so again, in another twist of irony, it’s Calvinism that actually limits the sovereign ability of God. Not to mention that our salvation actually involves more than God’s love toward us alone, but takes into account our reaction to the grace that we could never earn (2 Thessalonians 2:10-11, 2 Timothy 4:8, 1 John 5:3). This is why I tried to not let you goad me. Your present probably is socks or something dumb. This debate isn’t in anyway freewill versus none, that’s a false dichotomy your side always scampers to when the light gets turned on. The issue is the shape of freewill, your side says its one way or there’s no freewill at all (which is why they get dichtomous) yet I’ve learned half can’t even give that term a firm definition that justifies them condemning the other stance. All they know is they don’t like the other. so far your’re still just circling around the same thing. And haven’t added anything. Calvinist have reactions to grace as part of their thinking too, and a few proof text don’t undo that predestined is a biblical term you can’t 100% avoid… and freewill isn’t mentioned only choice. You just conflate “choice” to only exist if your view of freewill exist. That’s the issue; even fatalist don’t think humans lack choice in some form. The way you set up free choice is where your biggest weakness is, but you’ll never debate there because Descartes, etc. can’t help your modernist position against the deluge of post-modern critic, neuroscience, etc. Even daily life eliminates it. Your never vacuum sealed and nuetral when choosing or you don’t have a reason to choose! The choice limits you also! It’s just plain silly. You’ve got one cow you have to have to even be saved and God can’t save you without it. You ascribe fixing fates, forgiving sin, etc. all under the jurors prudence of a human will. So I guess your God is indeed soverign… it’s not ever Christmas in your India while you starve staring at a meal 5 feet away. It’s not worth even getting into election if you won’t get past this point. Aron’s calf has got to go. Pre-election/determination/destination comes down to Jesus being the only way for anyone and everyone. In him we’re a part of God’s elect. Hope you and yours have a good Christmas. Mr. Vonleohardt states that he finds Armenians uselessly stubborn. My guess is that irony is largely lost on him. I think there was a lot of irony in our discussion (along with the idea of not being able to “resist” my goading). If Mr. V was true to the doctrine of Calvinism then he would understand that anyone who is not “unconditionally elected” cannot help but be stubborn when it comes to understanding/doing God’s will because they do not have the direct operation of the Holy Spirit working for them to make their “stubbornness” go away. And yet this very doctrine makes a Calvinist the very thing that they accuse others of being…uselessly stubborn when it comes seeing to the errors of the TULIP doctrine and its theological incompatibilities with something as simple as gift-giving.. Thank you for reading, Cass.